(since they often come in mixed varieties). I forgot how small these things look nowadays. 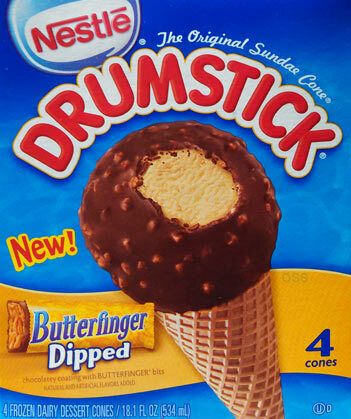 I take a bite and it's definitely butterfinger flavored. 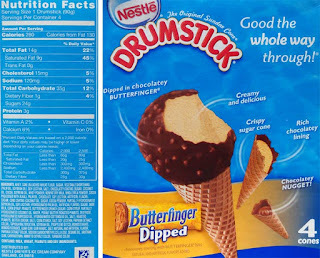 You get the chocolate from the shell but there's definitely that unique butterfinger filling flavor going on as well. 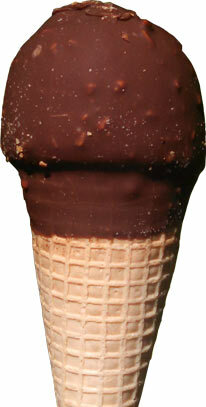 The cool thing is that flavor is coming from both the shell and the ice cream itself. 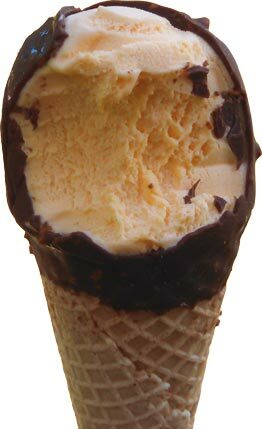 See, orange ice cream! Not crazy butterfinger orange, but orange none the less. It's a very light ice cream and provides minimal resistance to my chomping. 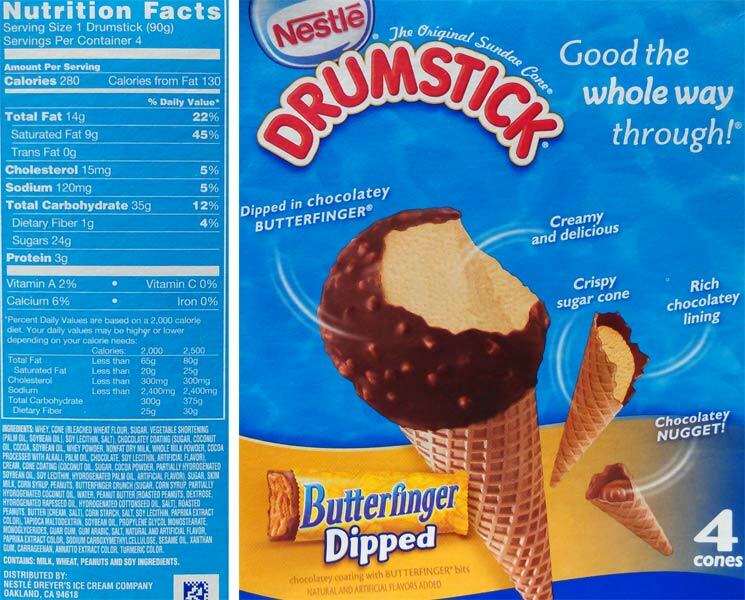 It's a shame the whole cone doesnt have a thicker chocolate coating because at the end when you get the crunch of the cone with the flavor of the ice cream and the chocolate nugget it's a really a neat combo (aka #FunFactor). Overall a fine treat on a beautiful day, but as always, I could go for a second one because they just aren't that filling anymore (notice that it doesn't say "ice cream" anywhere). Thanks for the review! I always thought butterfinger ice cream sandwiches would be good. I wonder if ShopRite has them? I ask because I don't have a Target near me and they look tasty! 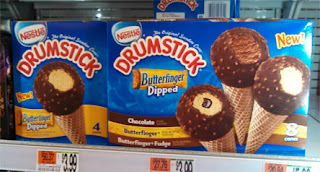 Dubba I did find them at ShopRite and had one last night, I really liked them! Got some at Publix and they're stale. They also taste like nothing. Super bland.